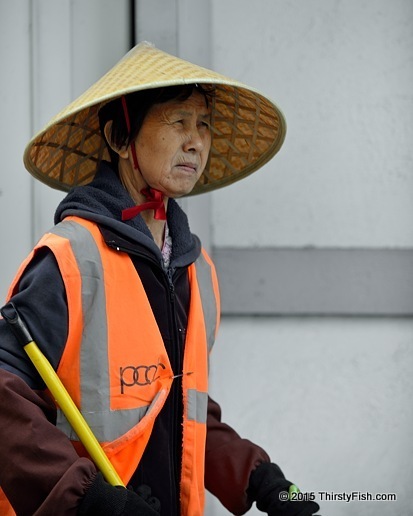 Immigrant Asian woman, cleaning the streets of Philadelphia Chinatown. Earlier today, I was at a Barnes & Noble bookstore. A whole section is dedicated to "self-help" books claiming to teach how to be "successful". Success is a dubious term and here in the U.S. it pretty much means "the attainment of wealth". By that measure, despite a sizable immigrant population, Asian-Americans have almost caught up to whites in income and wealth. The secret to their success? The immigrant generation of Asians work extremely hard ensuring their children have the highest education attainment. If you are not willing to work hard and educate yourself, no self-help book with 200 pages of fluff is going to teach you "the secret to success"!